There is no doubt that Ireland has a such a deep culture and history. It really is something special. When I was heading to Ireland, I started to look up wedding venues just to see what they have to offer. I came across this little gem done by Cliff Hotels. This 17th century venue was just acquired a few years ago and it was owned by a man (whom I totally forget his name) who started an international airline. He had his main house (which is giant) up on the hill and for fun decided to bring this small vacant place back to life. While doing so, he had passed away and the property was purchased by Cliff Hotels. When they got ahold of it, they sprinkled extra love and it truly incredible. As it used to be an old village, there are multiple buildings on the property including 2 restaurants (adding a 3rd one with a michelin chef), a little shop and an inspirational spa. It is in secluded location where you feel like you have it all to yourself. 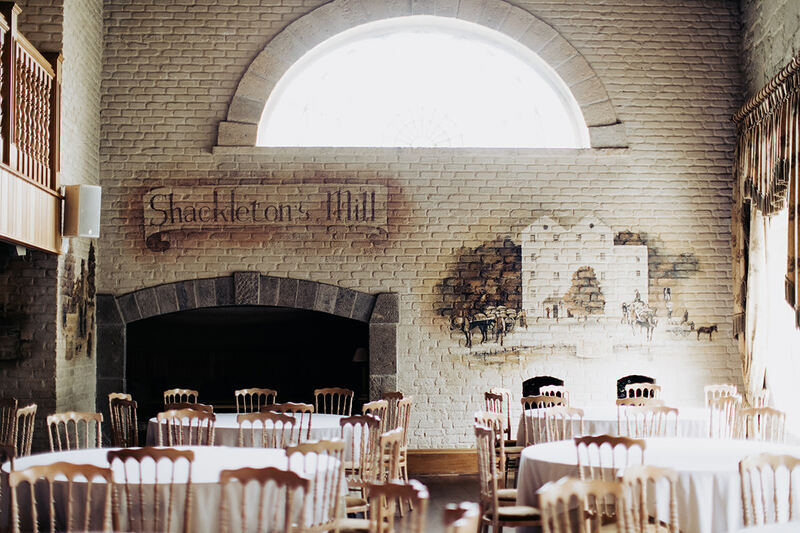 This wedding venue can seat up 200 guests at the Shackelton Mill and 80 guests can stay on site with MANY different options to customize your wedding. You can have it indoor, outdoor, or both. To the left and right of this image you see their gardens. This is where they pick their food to cook with!! How amazing is that? This is a glass greenhouse where they serve food but I think that this would be an amazing ceremony location. They will light a fire in this fireplace for you and you can have the most beautiful cocktail hour, hell, I would do the first dance out here. Want to bring your dog?! YOU CAN. Cliff of Lyons is dog friendly! If you want to do an inside reception here is where that happens. These buildings were built in the 17th century with obviously no electricity so they were designed around the natural light. Hence, why I love it so much. The lighting in this building is absolutely out of this world and it gives such a good feel. This is the town chapel. It is a small intimate place in which you can actually do a ceremony! It holds around 20 people. It really is quite special. This place radiates love. If you want to see more of the property and more of things to do there you can check it out here.